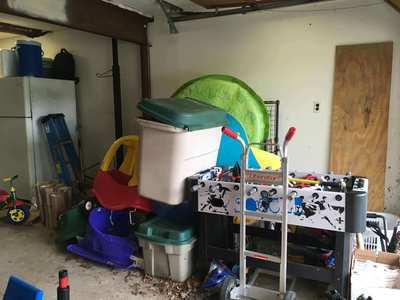 Check out some of our Before and After shots to see how The Closet Magician can help organize your Garage, Basement, and Shed. Result: The basement is now more functional and he will only be taking what he needs to his new home. Problem: Georgann loves to entertain but she was frustrated because she couldn’t locate what she needed when preparing for an event. Solution: Bobbie suggested that Georgann remove the filing cabinet and replace it with another shelf to make better use of the space. She also suggested replacing the Baker's rack with more functional shelves. 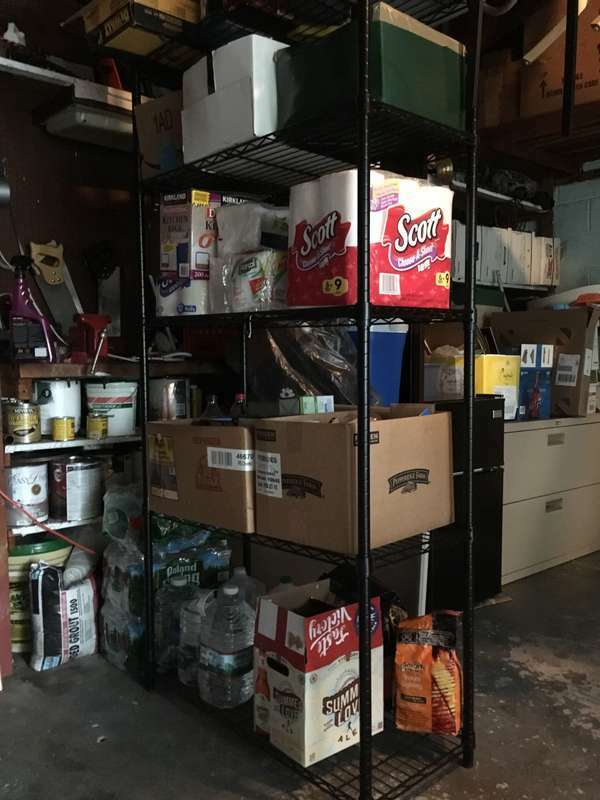 Result: Georgann's supplies are visible and accessible and she can take a quick inventory of supplies that are running low. ​Testimonial: "Bobbie gave me more than I expected. My husband was reluctant to hire Bobbie but now he says, "Happy Wife, Happy Life!" Problem: Bob is very handy but he didn’t have any usable space on his work bench or in his shed. 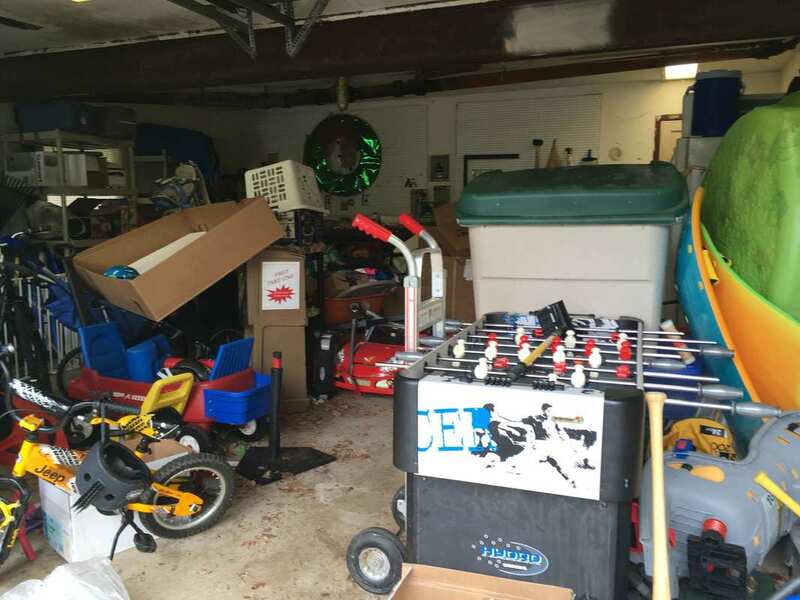 Irene's gardening supplies were scattered. 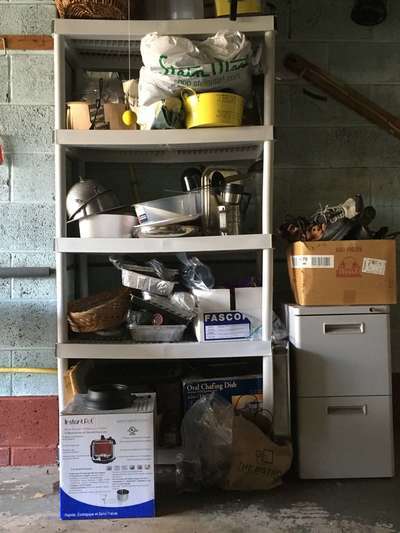 Solution: We used his existing shelving to better advantage and categorized Bob's automotive supplies and tools. Then we designated shelves for Irene's gardening supplies. 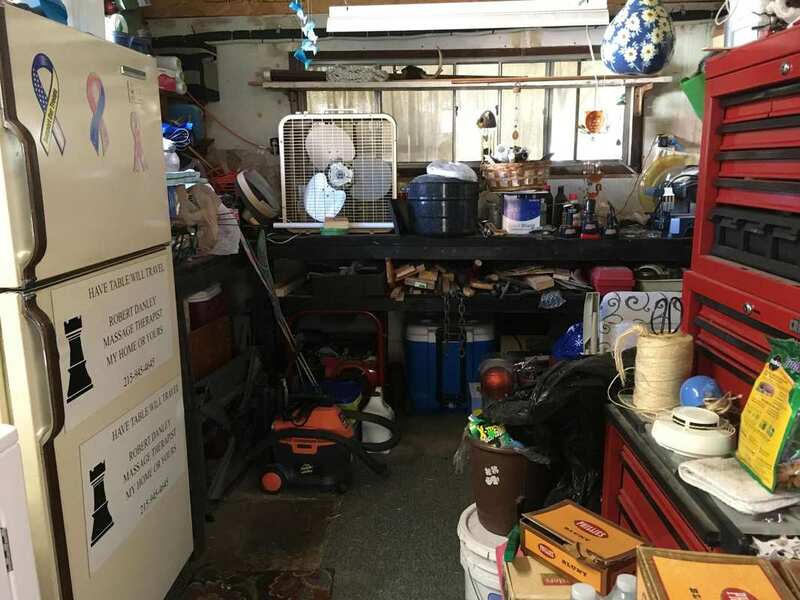 Result: Irene's gardening supplies are visible and accessible and Bob now has two available work benches. 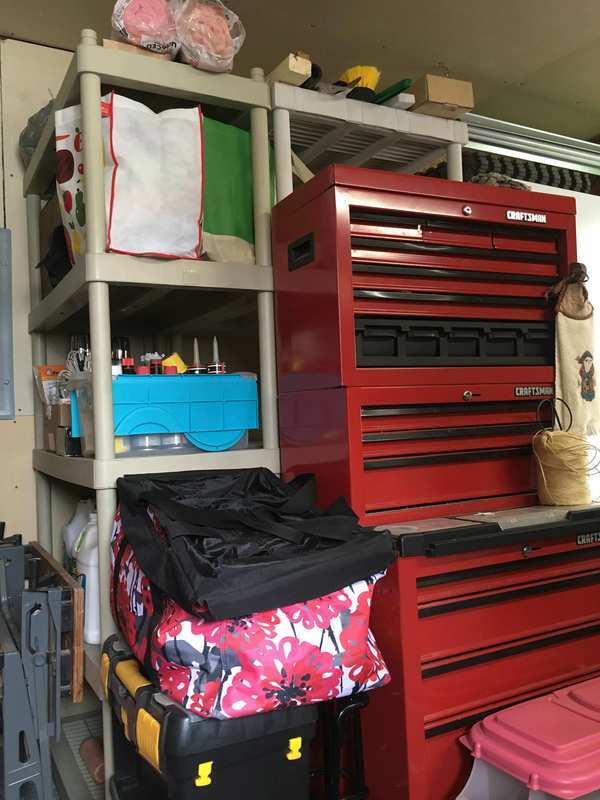 Testimonial: "Bobbie did a great job helping Irene repurpose her former home office into a craft room so I asked for her help with the shed. She helped us "keep at it" and stay focused without being pushy." Problem: Jen and her husband Patrick, have two young children and they both own their own business. 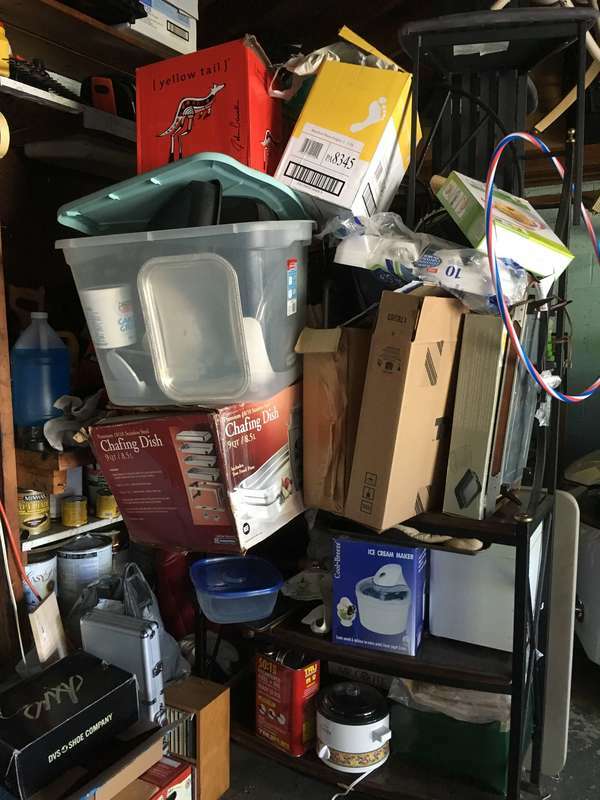 They just didn’t have the time and energy to get the garage in order. There was barely any space to walk. Solution: We broke down and recycled the accumulated cardboard and used the organizing accessories they already had. Result: The kids know where all their outside toys are and can put them back themselves. The bikes no longer fall over things and the foosball game and workbench are usable. We even found the lawnmower! 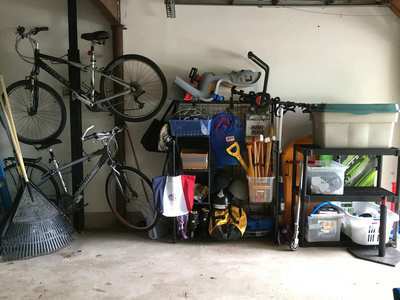 ​Testimonial: "It was helpful to see the space through her organized eyes, what was a jumble to me. The chaos is gone and I feel free and relieved." Problem: Diane is a successful realtor with a busy lifestyle and could not find the time to get her basement in order. Solution: We discarded the worn out holiday decorations and put the paper products for entertaining in a clear plastic tub. 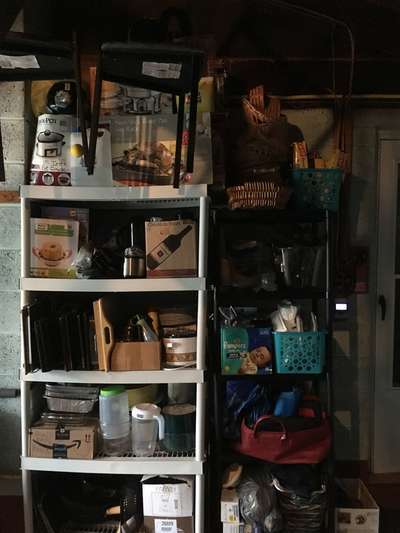 Result: Diane can find her supplies for entertaining quickly and easily and everything is neatly on a shelf. Testimonial: "Bobbie is consistent, persistent, and confident about what she does. I plan on using Bobbie again. ​Everyone needs a professional organizer for some area of their home." Contact Bobbie, the Closet Magician to schedule your 30 minute Consultation today.